Millennials are no longer the up-and-coming generation that will soon be entering the workforce. Many of them are already here. They’re slowly moving into roles that include leaders, board members and donors. So if your local charity has yet to appeal to millennials, now is the time to start. Millennials are particularly concerned with social issues and supporting nonprofits and causes that benefit the greater good. They are especially drawn toward helping disenfranchised or marginalized populations, with equality, equity and opportunity at the top of their list of issues with which they’d like to help. Nonprofits that align in obvious ways with such groups and causes already have a running start for engaging millennials. Others can attract millennial attention and support by clarifying how their nonprofit has a meaningful impact on the greater good of social issues millennials tend to support. In addition to illustrating how your cause helps the greater good, your nonprofit can increase your engagement with millennials with a lineup of helpful tips. All donors enjoy seeing the impact their donations have, and millennials are especially keen on seeing the difference their time, donations or support makes. Your nonprofit can show tangible impact through the use of relevant statistics, results, videos and other content that illustrates what donations are helping to achieve. You can also equate specific donation dollar amounts, volunteer time or activism to the tangible impact it has. Providing both tangible and intangible incentives can help stir up millennial interest and support in your cause. Intangible incentives include actions like making supporters feel extra-special with personalized communication or recognition. Tangible incentives can include matching donated funds or gifts for donors that go above and beyond the average level of support. Millennials are keen on providing hands-on support, as long as they feel that support is meaningful and making a difference. That means tasks like licking envelopes aren’t likely to cut it, but creating young professional groups can. Opportunity International started a group known as Young Ambassadors for Opportunity that brings people together through an ongoing series of local events. The group also offers board and leadership opportunities, as well as trips to see the nonprofit’s efforts in action. Stats may work well for showing tangible impact to millennials, but stories are the way to inspire them to give. Make sure your nonprofit inbound marketing geared toward millennials includes stories of the people you help and the work you do, which can enliven their spirit and prompt them to take action. Millennials rely heavily on social media, making them ideal social media advocates for your nonprofit or cause. Make it easy for millennials to pass word of your cause along, with sharing buttons in strategic areas of your nonprofit’s website. Social media is also an ideal channel for generating awareness as well as action. Encourage millennials to pass along info to their social circles to sign a petition, contact an elected official or otherwise take specific steps to help further your cause. Millennials are a social generation, and you can capitalize on that fact by creating a community for donors. When you get people working together to raise and donate funds or volunteer their efforts, you add a social dimension to the cause that can attract millennials to participate. The first set of tips will get you started in the right direction, while these three additional tidbits can help seal the deal. As a generation that grew up surrounded by loads of information, millennials tend to question everything. Outline everything about your organization, your cause and use of donations so questions are answered before they’re even asked. Real-time updates are part of the millennials’ world, which means they’re not about to be satisfied waiting around for a nonprofit’s annual update or report. They want to see progress and updates on a frequent basis. You can show progress on a project, with your overall mission, with donation goals and even ongoing work your nonprofit completes. Keep your audience updated on each step along the way, celebrating each step as another win for your cause. Millennials have a desire to get involved, and they’re more likely to act on that desire if you simply ask them. Include a strong, unified call to action across all your nonprofit inbound marketing channels, giving millennials a steady stream of do-able action items that make it easy to engage in a variety of opportunities to help. 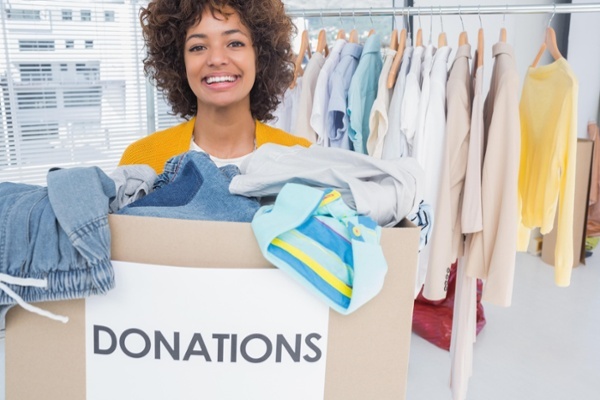 Using nonprofit inbound marketing strategies that speak directly to the millennial mindset can help you attract the attention and support of this thriving generation.